HHH This article focuses on people residing overseas that are planning to rent a car in Hawaii. 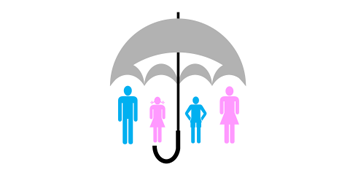 There is a world of difference when if comes to insurance (inclusive or optional). This is very important because folks may be accustomed to built in coverage’s, only to find out the vehicle booked has optional coverage. Those expecting coverage’s included with their rental car could have a rude awakening at the counter! This happen’s when the customer is unaware insurance’s are not included. Many of the 3rd party booking sites populate rates only, they do not provide options such as car seats, GPS, insurance, etc. Going deeper.… People residing in European countries, folks residing in Australia, New Zealand often receive car rental quotes with LDW & ALI coverage’s built in (inclusive) from their home country. This differs greatly from folks residing within the United States. US citizens often have built in coverage using their own auto policy as well as secondary* coverage on the credit card used.. Whereas many other countries do not have these same benefits. Pricey...The optional over-the-counter coverage in the States is quite expensive averaging around $30 daily for LDW (Loss Damage Waiver) & $18 for ALI (Additional Liability Insurance), adding $50 daily to a quote adds up fast. Our top picks for inclusive rates for international travelers. Avis Rental Car In Hawaii. Budget Rental Car In Hawaii. Place your country of residence "your country" in the "Resident of" drop down field when filling your itinerary out. You will see a complete selection of vehicle classes, rates & options that you can directly reserve. If coverage is included it will say on the page. Third party companies sell policies. Overseas residents can often receive inclusive rates from web-based discount car rental agencies like the original discount superstore AA Aloha Cars R Us. AA Aloha requests all inclusive rate inquires to be made via the website form, chat or phone. *secondary coverage, which basically means it will only pay out after your primary auto insurance policy is used.